Thanks to my friend Kristen for this recipe and the beautiful picture! If you count the tomato as a fruit, it's not even rogue on HCG Phase 2. 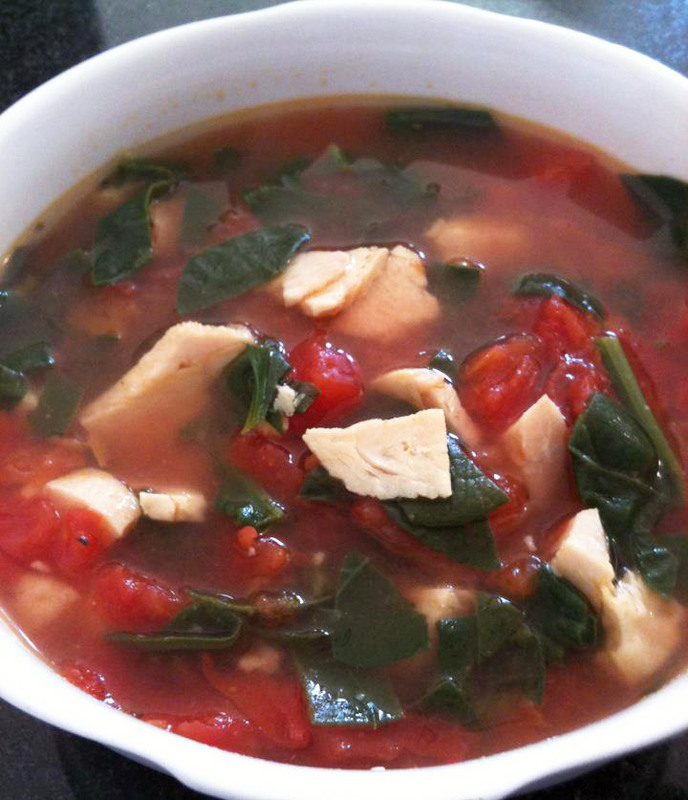 Combine all ingredients into saucepan over med-hi heat, adding spinach last; it only needs to simmer for 2-3 minutes. The original recipe calls for mini-tortellini, which you can easily cook separately and add to the soup if desired (for the rest of the family not on protocol). This sounds so good! Can't wait to try it out! mmm looks good!! how many servings is this? This would be amazing with miracle noodles! I can't do HCG without these noodles. www.miraclenoodle.com Check them out! This looks good! Would you eat this without the fruit and carb then? 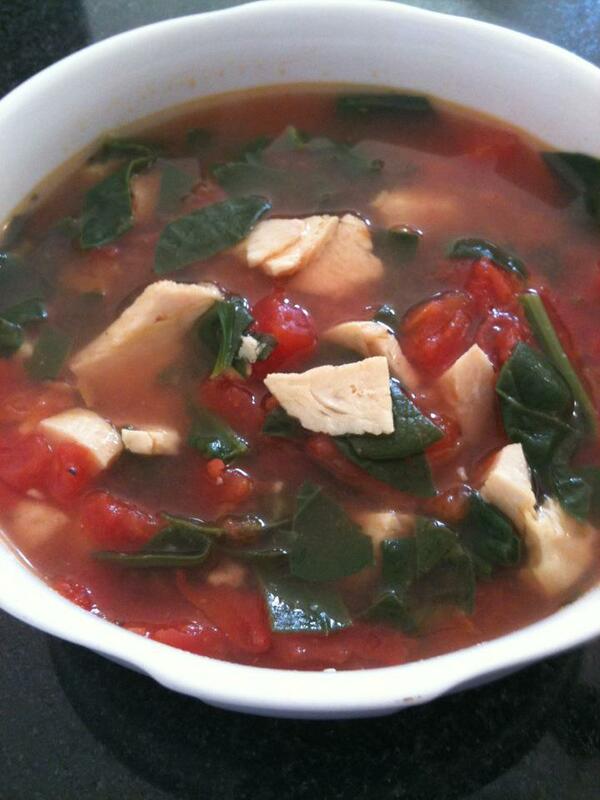 How many calories would you consider one serving of this soup? This would count as a protein, veggie and fruit. You could still have a cracker/breadstick if you usually eat that.